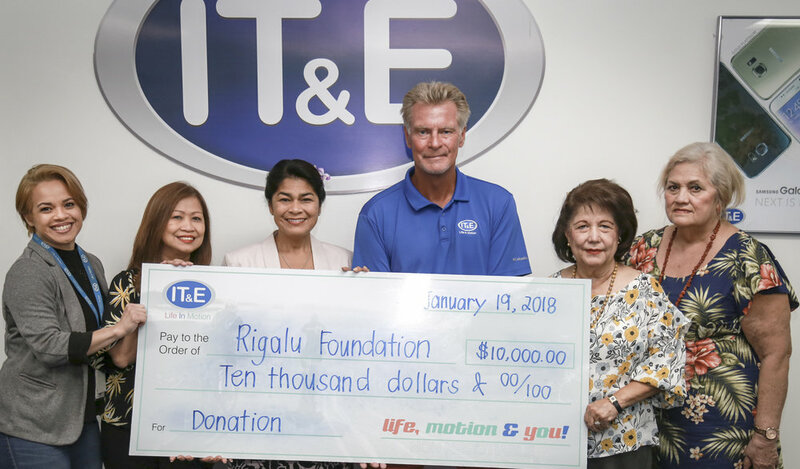 Harmon, Guam - In support of the First Lady of Guam’s mission to construct a foster home, IT&E presented the First Lady’s Rigålu Foundation with a donation of $10,000.00. This donation will help to support the furnishing of a much needed facility to house foster children who are found in emergency situations. The home will be built from the ground up. Once completed, it will accommodate up to 12 foster children and will feature fully functional facilities, including a library, playroom, kitchen, and playground. In November, IT&E previously presented a donation of $2,500 to the first Lady’s Rigålu Foundation to go toward the foster home. We were compelled to be part of the First Lady’s initiative to build a positive environment for our island’s foster children when they need it most. James Oehlerking, Chief Executive Officer, IT&E. A heartfelt thank you, IT&E, for your generous donation. With your help, we are closer to our goal of building a home that can be filled with the comfort, safety, and love our foster children deserve.